This might be the most delicious thing I’ve sipped in a good long while. It’s a kissing cousin to the Basil Bliss, but the addition of fresh, juicy cucumber takes everything in a more refreshing direction. 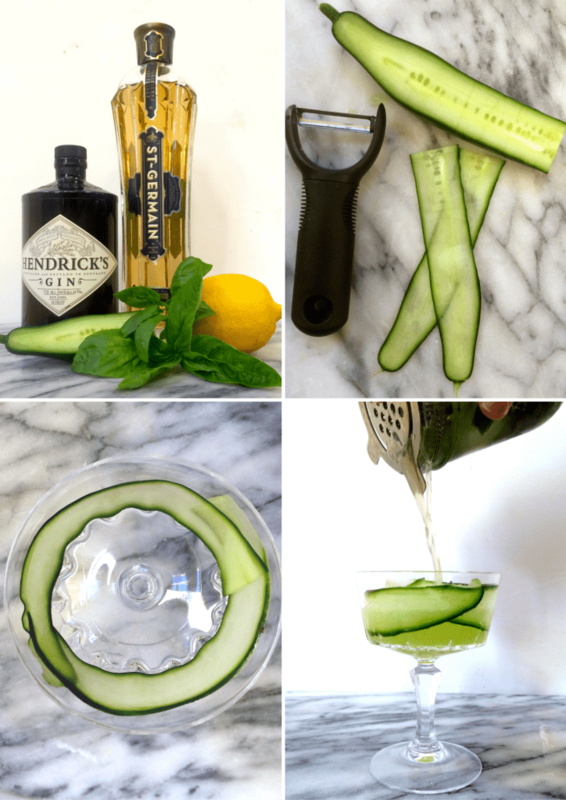 While the cucumber strip garnish isn’t necessary, it’s easy to do and really helps make this drink visually impressive. Try it – I think you’ll like it. You’ll need fresh cucumber, fresh basil, gin, St. Germain and fresh lemon. Start by cutting a cool cucumber garnish for your glass. Just run a vegetable peeler down the length of cucumber so you get long, thin cucumber slices. 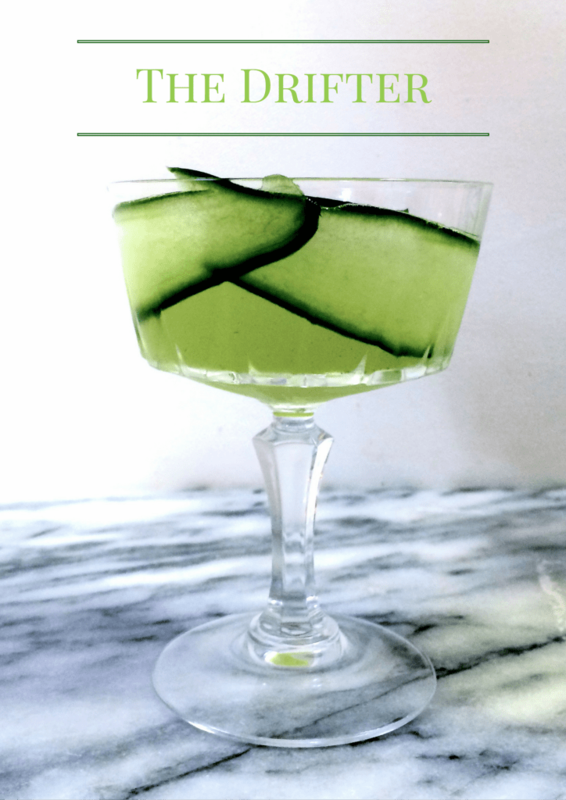 Wrap one or two of these cucumber slices around the inside perimeter of your cocktail glass. A fairly straight-sided glass makes this a bit easier, but it’s doable even in a traditional cocktail glass. The cucumber should stick to the inside of your glass – no muss, no fuss. 1-2 long, thin slices peeled from an English cucumber, for garnish. 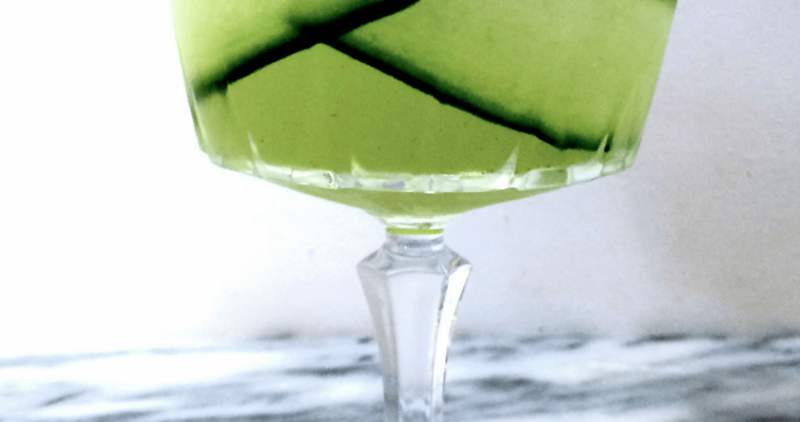 To garnish, wrap the long, thin slices of cucumber around the inside of a chilled cocktail glass. Set aside. 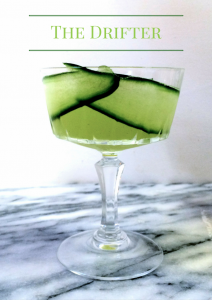 Add the 1-inch long section of English cucumber and the fresh basil to the bottom of a sturdy bar glass or shaker. Muddle until the cucumber and basil are thoroughly broken up. Measure the St. Germain, lemon juice and gin into the shaker. Fill the shaker with ice and and shake the cocktail hard for 15 to 30 seconds. Strain the drink into the prepared cocktail glass.